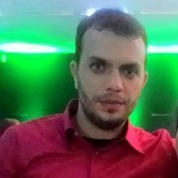 I’m Bruno Roberto Búrigo, I live in Brazil and have been working as a Software Developer for about 5 years. I was introduced to coding in 2010 when I started the Systems Analysis and Development undergraduate course at UTFPR, the Federal University of Technology - Parana. At the beginning I was kinda lost, this whole programming thing seemed strange and I wasn’t sure if I was made for it. But it didn’t take much time for me to discover it was fun, rewarding and…logical. Most of my experience lies in the web development field. I’m used to dealing with the whole web stack, from coding and optimizing backends and frontends to maintaining a cloud cluster of servers. I also deal a lot with testing, Continuous Integration and automation. I consider myself a generalist and aspire to become a true polyglot of programming languages, I’m always messing around with different languages, trying to grab better abstractions and design ideias. I’m a Linux guy. Long live Slackware.